Join Honey Road Restaurant for a dinner with James Beard Award Winning Cookbook Author Joan Nathan. 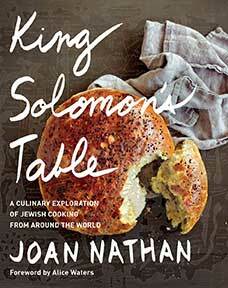 On this night we will be celebrating Joan’s new book King Solomon’s Table. A small reception will start at 5:30. Cash bar will be available. Dinner starts at 6pm and includes 2 courses of family style dishes that will fill the table and be sure to delight, followed by some of our famous desserts. Signed copies of King Solomon’s Table will be available. Or bring your own copy for Joan to sign.